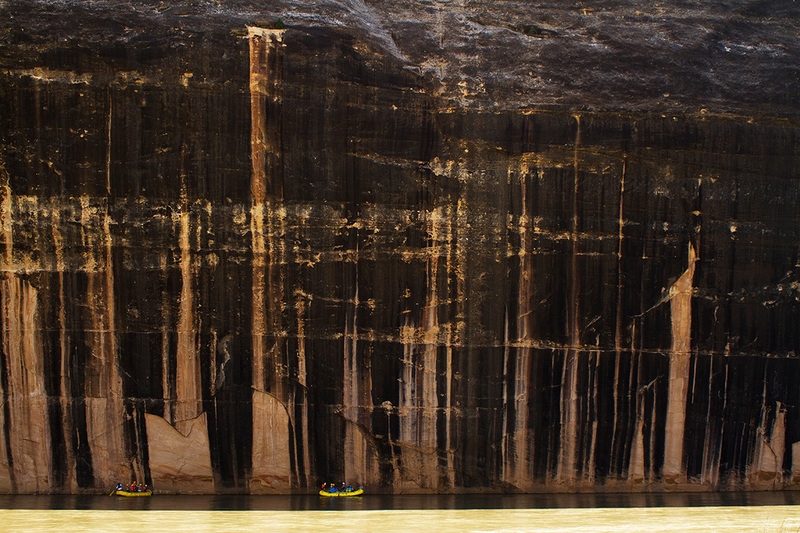 River guides are surprisingly superstitious folks. We’re the kind of people who will be talking your ear off about hydrology one minute and saying a quiet prayer to the “river gods” the next. We know that running rapids is 99.9% about putting your boat in the right place, but what about that remaining .01%? 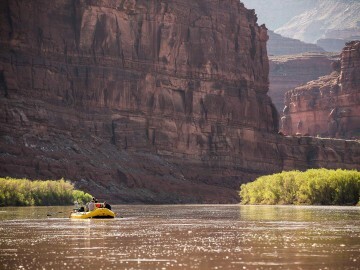 Maybe some places on the river are simply so wild and so grand that we can’t afford to ignore the supernatural, even if we’re not really sure we believe in it. 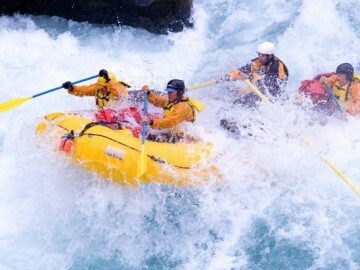 Here are a few well-known whitewater superstitions and the creative rituals many guides honor for safe passage down river. 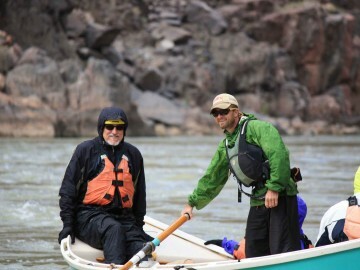 There’s an old river adage that goes,“Clean boats, clean lines.” Grand Canyon guides take this one really seriously and prepare for Lava Falls, the stompiest rapid on this stretch of the Colorado, by washing all the rafts and dories until they’re squeaky clean. 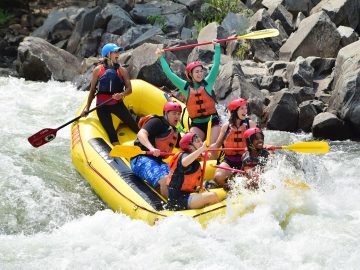 Even guides with decades of successful runs through this Class 10 big-water rapid know better than to slight the river gods on this one (or maybe they just know better than to mess with something that’s working). Many a hopeful boater has planted a loud smacking kiss on the Yampa River’s Tiger Wall, the iconic sandstone face marked with black, drippy stripes of desert patina. 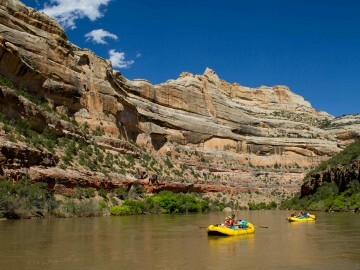 Legend has it that boaters who kiss Tiger Wall will have good luck and safe passage through Warm Springs Rapid five miles downstream. 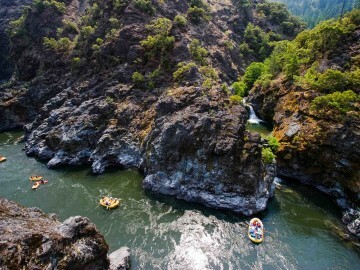 Whitewater on the Rogue River climaxes with the beautiful, but tricky Class IV Blossom Bar Rapid, a long, technical boulder garden with a must-make move right at the top. To make “the move,” your guide will be using ferry angles, careful timing and a strong pull, but she might also pull out a lucky floral-print, pearl snap “blossom shirt” for extra ammunition. 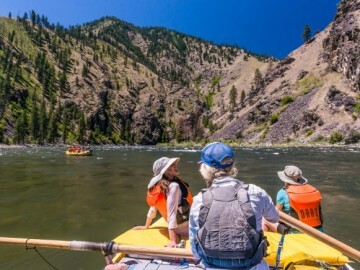 Boater lore holds that wearing brand new gear out on the river is bad luck—that a guide taking a shiny new PFD or pair of sunglasses out on the water untested is just asking for an accidental swim. 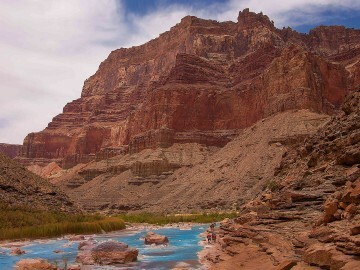 The truly superstitious will gear up and dunk into the water at put-in to get the “new gear” swim over and done before they run the risk of falling out somewhere a bit more exciting and involuntary, like in the hole at Troublemaker Rapid. 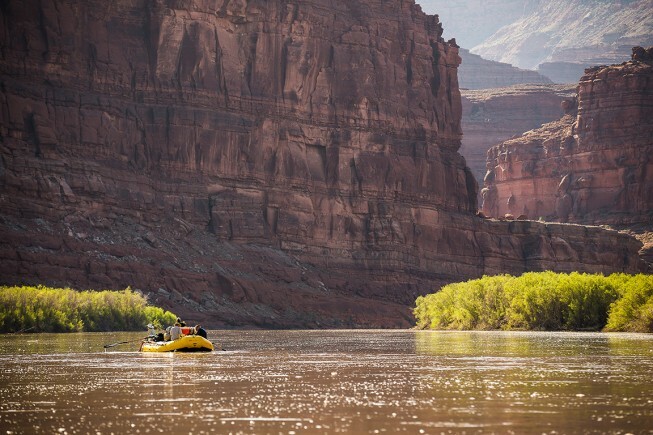 Although it’s the notorious rapids that give Cataract Canyon its name, your guide is probably crossing her fingers for favorable conditions in the nearly 50 miles of flat water that run through Meander Canyon. 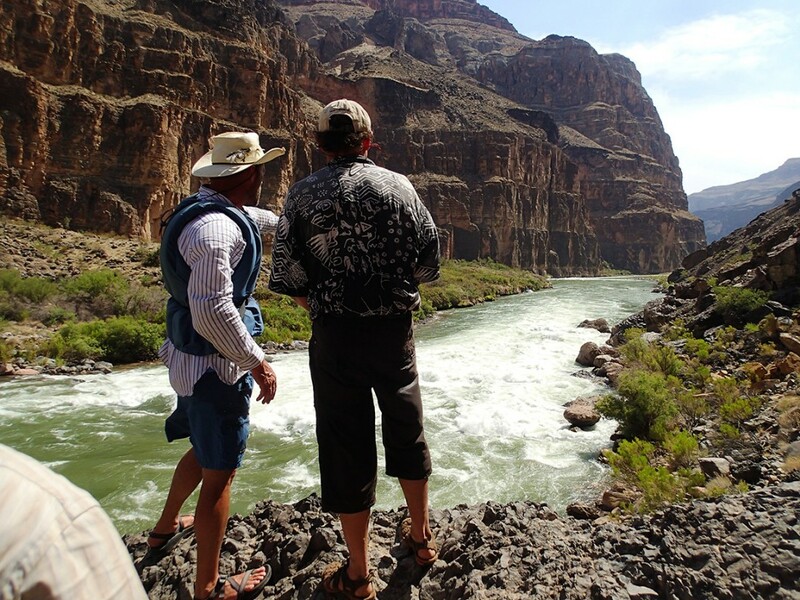 Vicious upstream winds can ruin a guide’s day just like a flip or a wrap, especially in desert canyons where afternoon winds can blow a heavy gear boat back upstream. Leery boatmen have come up with all kinds of crafty ways to avoid saying “the w-word.” If you hear your guide talking about Uncle Gusty or Aunt Breezy, he’s probably just trying not to accidentally invoke you-know-what.